Did you know that many of the symptoms of PCOS that you may be experiencing could be coming from your adrenal glands? If your adrenal glands are a bit tired, wired or dysfunctional (maybe you have a genetic polymorphism or SNP) you may experience many of the symptoms of PCOS. 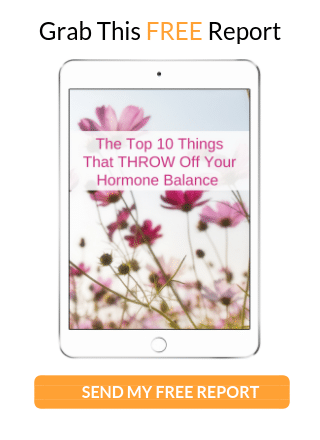 In Adrenal Health Part 1, I shared many of the amazing things that your adrenal glands do like manage your blood sugar, metabolism, blood pressure, hormone production and so much more… and then I introduced the topic of Adrenal PCOS. Women with PCOS tend to be less stress tolerant while at the same time pursue stress. That’s me for sure. I want it all – like I want to work hard, win my tennis matches, be the best at everything… I want great energy all day without stopping… I want to dance until I drop. But oftentimes it’s more then my adrenals can handle. For me this takes a toll if don’t give my adrenals a lot of love. If you’re constantly stressed from any of my hormone-deal breakers that keep your body stressed, you will not be able to fight off infections, or digest your food well, for example, and you’ll make more androgens – too many in fact, you’ll suppress your immune system and digestion (think food intolerances and irregular bowel movements), you’ll gain weight, experience mood swings, acne, facial hair, muscle aches, fertility problems, hot flashes, fatigue and more. If you recall from last week’s video many of the male hormones that can get out of balance with symptoms of PCOS are actually made in your adrenals. This is so common with symptoms of PCOS. Cortisol goes up and stays up, your blood sugar hormone insulin does the same, and you end up making more male hormones known as androgens. As you can see your adrenals are an important part of the PCOS puzzle. 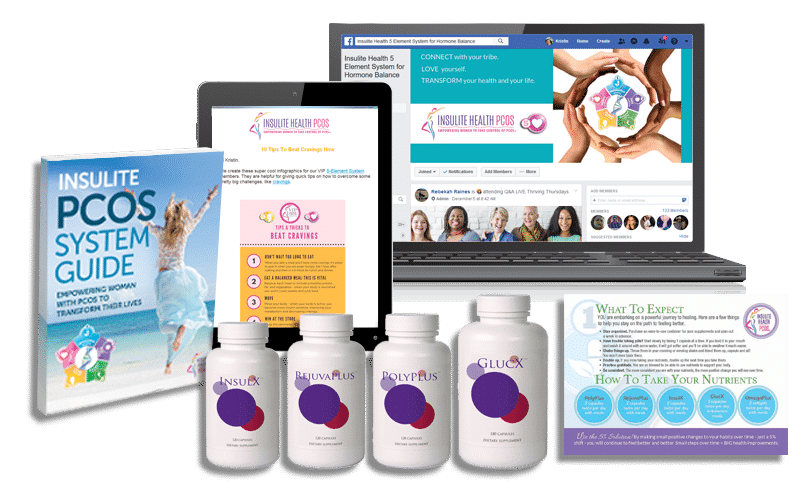 I’m going to help you discover if you have “Adrenal PCOS” in my “PCOS Adrenal Deep Dive” webinar – click on the button below to register. 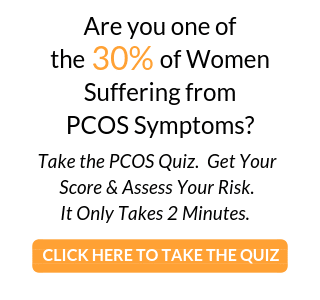 Once you register you’ll get my Adrenal Quiz so you can see if you may have “Adrenal PCOS”. On the webinar you’ll learn the hormone deal breakers that may be causing your Adrenal PCOS and how to fix them! Enjoy your week and I’ll meet up with you here next week to share more great PCOS tips. We’re here to support you every step of the way.